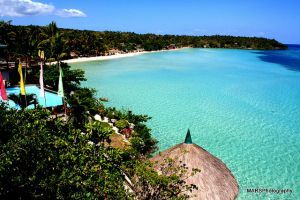 Dauin, a fourth class town in Negros Oriental in the Visayas Region is a superb hub for divers. The town literally boasts of dive sites teeming with vibrant underwater creatures and landscapes. Although it’s recommended that you explore all of Dauin’s dive sites, you may not be able to do so given the limited time, so take your pick from this list. – This reef features hard corals and dark sand with plenty of sea grass where numerous razorfish, hairy frogfish, ghost pipefish, cuttlefish and sea horse thrive. – There are two car wrecks found in this dive site, hence the name. And the wrecks have blended into the undersea environment, and have turned into a safe haven for pygmy cuttlefish, cockatoo waspfish, lionfish, scorpionfish, snake eels, stonefish, and the queer ringtail cardinalfish. There is also an abundance of crustaceans and shrimps in the area. – If diving the depths of the Car Wrecks is too much of a challenge, then the shallows is a great alternative. Still abundant with exotic marine life including threadfin sand diver, seamoths, seahorses, cockatoo waspfish, dragonettes, and flounders. – This is the most visited dive site in Dauin due to its proximity and gentle slopes. Despite the diving activity in the area, the coral reefs remain protected and vibrant with lots of anthias, damsel fish, frogfish, ghost pipefish, snappers, barracudas and crabs. 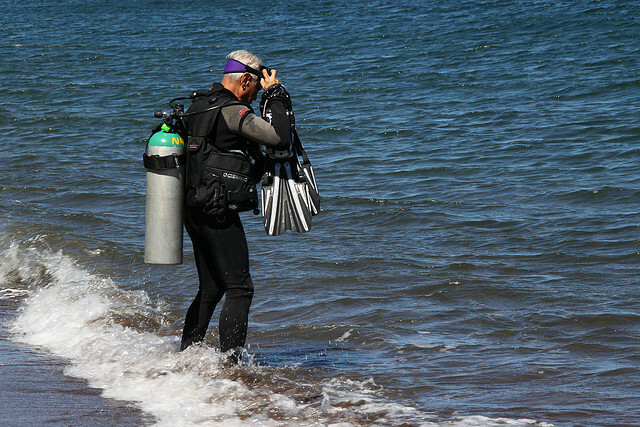 – The calm waters of Dauin Sur is ideal for no-frills diving with plenty of opportunities for taking pictures. Some of the exotic sea creatures to encounter here are giant groupers, green turtles, ribbon eels, aquat lobsters, garden eels, and dogtooth tuna. – The sloping reefs combined with muck in this dive site offer a challenging ride of the currents with glimpses of ghost pipefish, moray eel, scarlet cleaner shrimp and devilfish. The sandy bottoms is home to various crabs, corals and shrimps. – Ship and car wrecks are always fascinating to see in a dive exploration. More so if they were adorned by loads of flamboyant cuttlefish, ghost pipefish, emperor angels, pygmy pipe horses, garden eels, peacock razorfish, coral crabs, and porcelain crabs. – The reef’s name refers to artificial or manmade. Ginama-an was established using piles of car tires and has plenty of anemone fish, coral shrimp, frogfish, harlequin shrimp, and the peculiar mimic octopus. – Mainit means hot in the local dialect, and this dive site is named as such because of the hot sand and thermal activity in the location. There is an abundance of barracudas, surgeonfish, yellow snappers, dogtooth tuna, snake eels, Moorish idols, and white tip sharks. Currents are strong and challenging, but there is much to see here. – A bit of challenge can be had in this dive site with medium current and relative depth. What makes the dive more interesting are the creatures that live there such as rock cod, snapper, trumpetfish, green turtle, blue trevally, barracuda, soft coral crab, nudibranchs, and batfish. There’s also the prized flasher wrasse. 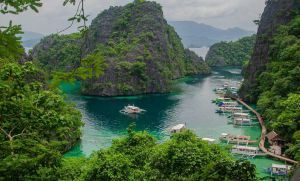 – This dive site, a favorite of macro diver photographers, features reed patches and sandy gullies where divers can spot Pegasus sea moth, flying gurnard, ghost pipefish, finger dragonettes, goatfish, comets, nudibranchs, and frogfish. – The pyramids that can be seen in this location are made of metal, and the dive is itself a wonderful journey that progresses in depth. Some of the sea animals that thrive here are xeno crabs, banded tozeuma shrimp, Donald duck shrimps, black corals, and sponges. 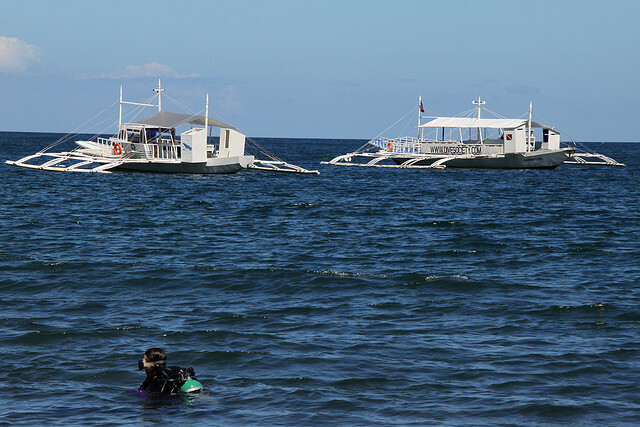 – The sandy slopes of this dive sites plus its relatively shallow waters make it feasible to explore the entire area in one go. Some of the sea creatures to encounter here include ghost pipefish, spiny devilfish, nudibranchs, and the tiny pygmy squid. – There are rubber tires deposited in this location and they have become artificial reefs for the sea creatures for many years now. The San Miguel Tires is home to several scorpion fish, moray eels, pygmy squid, lion fish, ambon scorpion fish, striated frogfish, and bumblebee shrimp. Touring Negros Oriental: Culture, Religion and Fun! Copyright 2013-2018 TriptheIslands.com. All Rights Reserved. By 10M Media Inc.